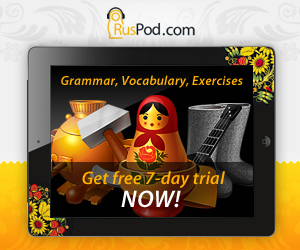 In this lesson you will learn 21 consonant letters of the Russian alphabet (б, в, г, д, ж, з, й, к, л, м, н, п, р, с, т, ф, х, ц, ч, ш, щ ) and how to pronounce them. With few exceptions, Russian consonants can be pronounced either "soft" or "hard" depending on the type of a letter that comes after them. For this reason, the 20 consonant letters of the Russian alphabet can designate 37 distinct consonant sounds! The basic rule is that consonants are "soft" if they are followed by soft-indicating vowels or the soft sign. Consonants are "hard" when they are followed by hard-indicating vowels or the hard sign. You may want to review a lesson on Russian vowels before you proceed any further. The concept of "soft" and "hard" consonants should be familiar to you if you speak English. The following example roughly shows that the letters m and l can be both "hard" and "soft" in English. The word "soft" here means that your tongue should be arched against the roof of your mouth (called the soft palate) so that it "softens" the sound. Just like in English, several Russian consonants come in pairs where one letter is pronounced voiced and another one is similar but voiceless. For example, the English letters b and p make the pair (try saying bat - pat to feel the difference). The word "voiced" here means that your vocal chords should vibrate when making a sound. Vibration of vocal chords is the main factor in grouping Russian consonants into voiced and voiceless. Now you are ready for the important rule that Russian voiced consonants are pronounced as their voiceless counterparts when they appear in the very end of the word. For instance, the word год (year) is actually pronounced as гот, the word глаз (eye) sounds like глас, the word бог (god) is said бох, etc. Another rule is that voiced consonants become voiceless when they are followed by other voiceless consonants. For example, the word подпись (signature) sounds like потпись because the voiced letter д is followed by the voiceless п. On the other hand, voiceless consonants sound voiced when they are followed by voiced consonants. For example, the word футбол is pronounced as фудбол. Further you will find guidelines on pronunciation of Russian consonants. 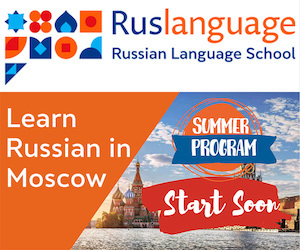 They are accompanied with exercises to practice them with real Russian words.